It’s been a heavily promoted feature in the Wii U, and only just made its appearance on a 3DS a couple of years back. But now according to a Nintendo marketing manager, the end is nigh for Miiverse. It will not be returning on the Nintendo Switch. But that’s not all! Oh no, they also confirmed another recent feature wasn’t on the Nintendo Switch as well. Namely, StreetPass. You know, that feature that lets you exchange data with people you pass on the street. The one that StreetPass Mii Plaza is built around. That’s not going to be on the Nintendo Switch either. It’s because (in their words), the Switch isn’t a standard handheld like the 3DS, so there’s no point in including it. It’s a very quick end for two heavily hyped features. I’m actually happy this has happened to be honest. Yeah, I now that comes across as being very negative. I mean, claiming a feature should be removed from a console? That sounds really mean doesn’t it? Well, maybe to some. But the thing is, neither really worked that well. 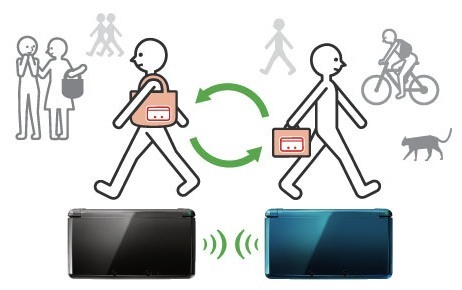 For instance, StreetPass was great… in Japan. Or perhaps really, really busy cities like New York. But most of the world doesn’t live in those areas. In fact, a large portion live in places like the rest of the US, where everything is really far about and walking isn’t particularly convenient. So they never encounter anyone using StreetPass. Which in turn, means stuff like StreetPass Mii Plaza is mostly useless to them. Getting rid of it is just evening the odds and removing something that only a small minority will ever be able to really make good use of. And StreetPass is even worse. Basically, it’s kind of like Nintendo tried to setup their own version of AOL in the 1990s. A poorly moderated community filled with people who have no interest in holding a decent conversation. Which then had the knock on effect of hurting independent gaming forums (especially Nintendo ones), since said young kids and future forum members would be attracted to the Nintendo version. Basically, it killed forums about Nintendo, and ended up being a situation where Nintendo was competing with its own fanbase. Fortunately, now it’s gone (and Nintendo is trying to integrate with third party social sites instead), these problems might be fixed. We’ll see good quality content accessible from the Switch, and we won’t see independent Nintendo forums struggling against Nintendo’s own poorly run ‘community’. Still, what do you think? Are you happy that StreetPass and Miiverse is no more? Or do you really wish they’d been included on the Nintendo Switch? I’m glad. Miiverse is a truly horrible place. It’s full of cringe role play and weird subjects that have nothing to do with the game that it’s based on. I’m not so upset about StreetPass, even though I like it. However, I don’t ever see myself leaving the house with my Switch, even if it is portable. The Legend of Zelda The Wind Waker HD; The Changes Detailed! Rumour Time! Diddy Kong Racing and Zelda Return for Wii U!